Andrew Tuttle – Site Revisit: Clear Mountain from Andrew Tuttle on Vimeo. Video: bush walks by day, hotel walks by night. Audio: field recordings (recorded on phone) + snippet of previously unreleased piece Illusory Breakthroughs. This first video was created whilst on a little break to Clear Mountain, just outside Brisbane. It was great to spend a couple of days not checking emails/looking at screens – well aside from creating some video on bush walks and night walks around the hotel. Quickly did some editing and inserted some extra field recordings and other music, so here we are. Hello! 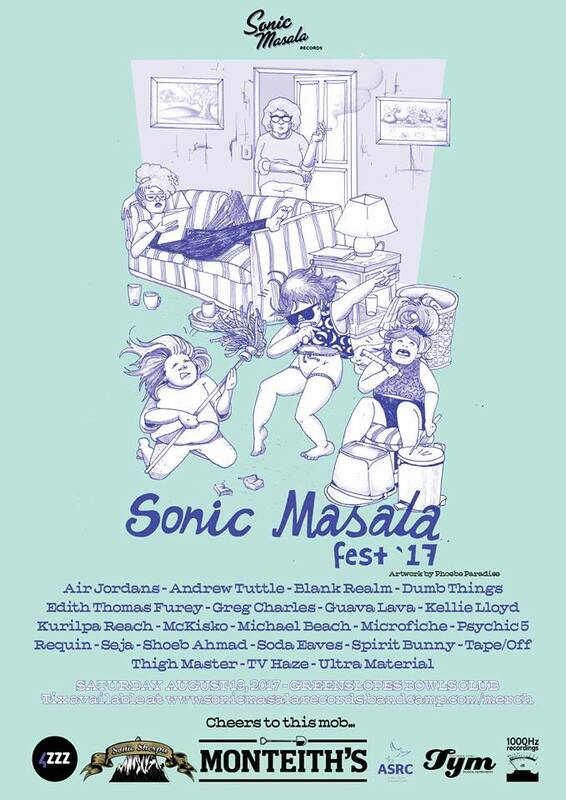 Here’s a photo of me live at Sonic Masala Fest in Brisbane a few weeks back. It was a really fun day! It was also (most likely) my final show of the year. I’m taking a bit of time out to prepare both a new live set and a new album for a second quarter 2018 release and touring. More on all of that early next year! Thanks to everyone who came along to shows this year, had some great times. See you in 2018!